This is a group that the ciient wanted. from top to bottom we have a Sendero and Gamemaster !st Gen, The first dressed up 'Military" model and a Sendero. 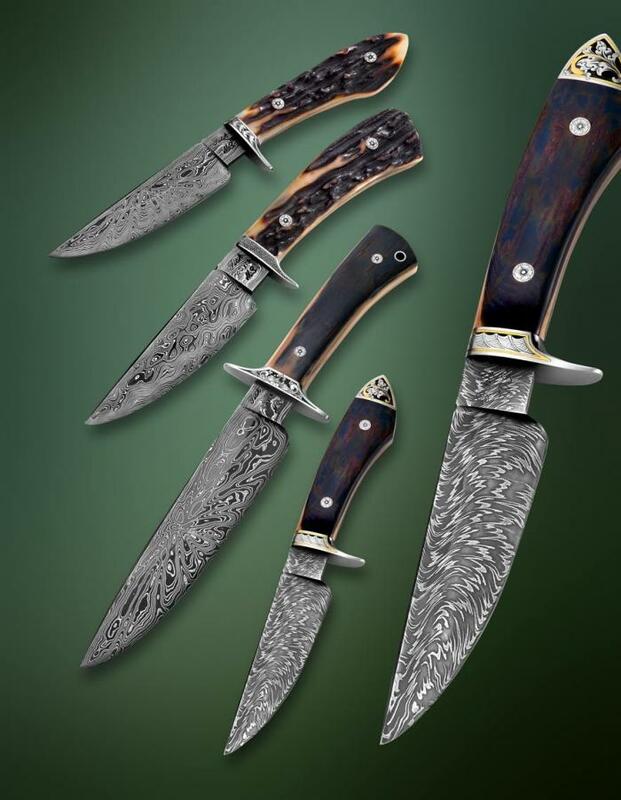 These knives appeared in David Darrom's book on custom knives of the world.